Meditation is to watch "your" body talk and move without a feeling of "I" doing it. Your body might as well belong to somebody else. This realization happens spontaneously when your awareness is quick and clear enough to see that the feeling of "I" doing this or that really just is a trick of the brain. In alerted states of awareness you will feel the total freedom and joy in the realization that everything is just happening automatically - pretty much the same way as you intelligently digest food: You don't need to involve the notion "I am doing" for your intestines to work. truth - it is more a byproduct - like exhaustion gas from a car. So... just for the joy of addiction we can inhale some philosophical thoughts: As a consequence of the fact that everything is happening by itself we could play with the thought that everything is predestined to happen just the way it does - including "my" efforts to make things change. read the lines of pre - destiny. reader were absolutely extraordinary! 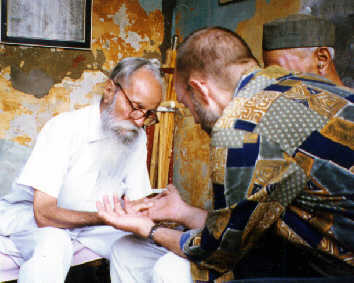 He in fact is the first convincing palmist I have met - way beyond the commercial tricksters you as a tourist encounter in the center of New Delhi. 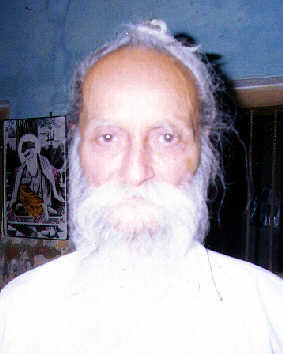 No doubt Lakbir Singh Ji was also an educated man of great intuitive and psychological insight. 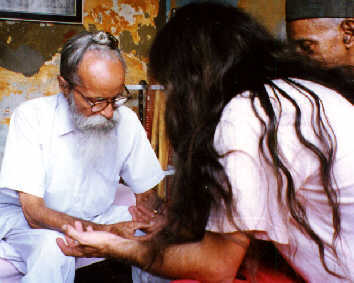 But his palmist readings were astoundingly precise - even in referring to small details and events in the life of a person that he had met for the first time. What Lakbir Singh could do in minutes would probably take a trained western psychologist month. Was this really palmistry or was it a display of almost supernatural human intuition? I once went to Lakbir Singhs house with some friends from Germany and Denmark . 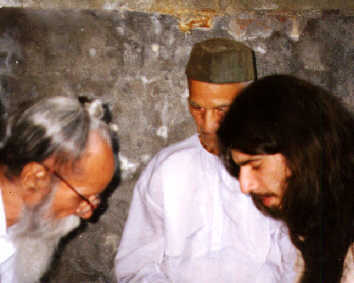 We were sitting in a circle in his beautiful garden (photo below) together with Lakbirs friends and devotees. A wonderful peace would come with the fraqrant smell of the flowers. We had offered him mangos and fruits and his devotees now served us chai. - Now you read my hand! - But Sir! I don't know the art of palmistry!! - Oh! Sure you do. I see that you you can do that. Devine intuition is the most important. I could not tell him anything apart from what could be said with a little intuition, but he seemed to be satisfied. Now my friends were lining up and one by one he sculptured precise human portraits that left us all speechless - even chocked. It seemed like he was reading hand lines like letters in a book. Sometimes he was also using a magnifying glass. - I am really not interested in reading hands - he said after the long session. GOD is my only true concern and several times I had visions of Christ and the Holy Mother. being together with HIM. When I have realized enlightenment I will visit you in Denmark. 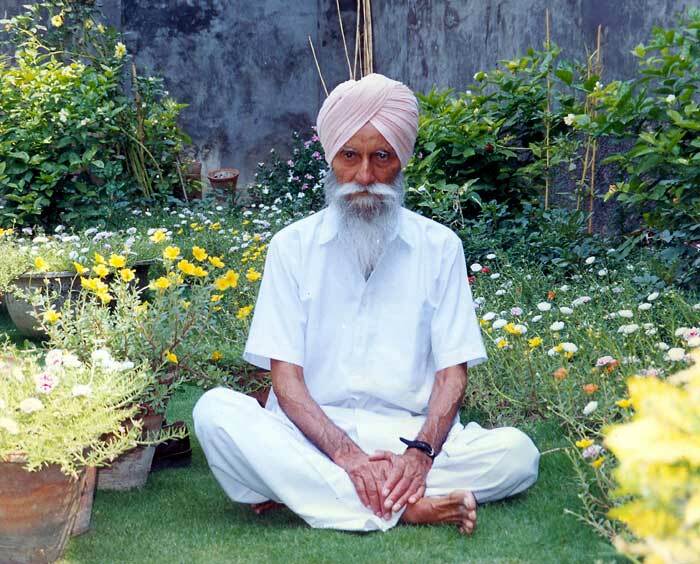 Lakbir Singh in his beautifull garden. Lines that indicate spiritual longing can come after some time.